Belgard Vs. Unilock Pavers: Which Is Better? Size; a Bur Oak would not be a good choice for a small yard. Consider the form of the tree. If you have power lines overhead, you may want a columnar or pyramidal shape instead of a globe or irregular shape. Type of soil; sand, loam or clay. A soil test can determine exactly what you are working with (soil type, pH, organic percentages, and fertilizer recommendations). How well the soil drains. Standing water or saturated soil may change plant selections. See if the plant will grow in this location. Look at native trees that are growing successfully near where you will be planting. Follow the 10% rule. Put in no more than 10% of any one kind of tree or shrub into your landscape. If pests, diseases or other problems come up, only a small portion of your landscape may take damage. A diverse landscape also creates interest, draws in different creatures (birds, butterflies, hummingbirds, etc. ), and can create a year-round show. Using native trees and shrubs can help establish a sense of place and be low maintenance. They have been growing in this location for thousands of years and, in most cases, can survive problems with native insects and diseases. Native trees and shrubs also can create a backyard habitat for birds, pollinators, and other wildlife. Those that produce berries or nuts provide a source of food and offer shelter. Trees and shrubs also provide winter habitats, especially for birds. Not all native plants are resistant to disease or pest problems, especially if they are grown in the wrong location or do not receive adequate moisture. Not all pests or diseases are native. 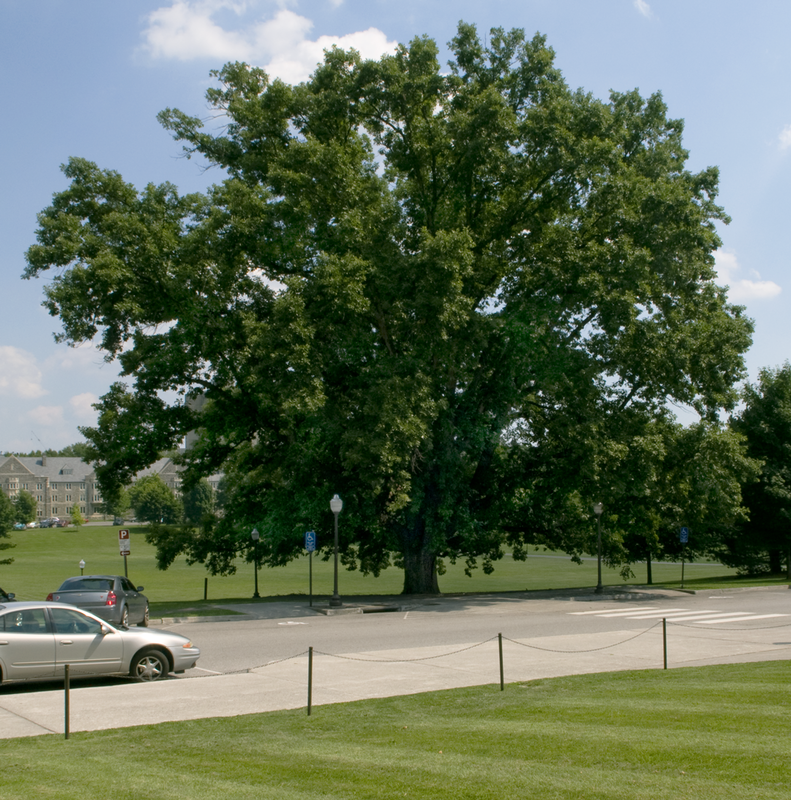 This can be seen with Dutch elm disease, oak wilt, and emerald ash borer in recent history. Maples (Acer spp. 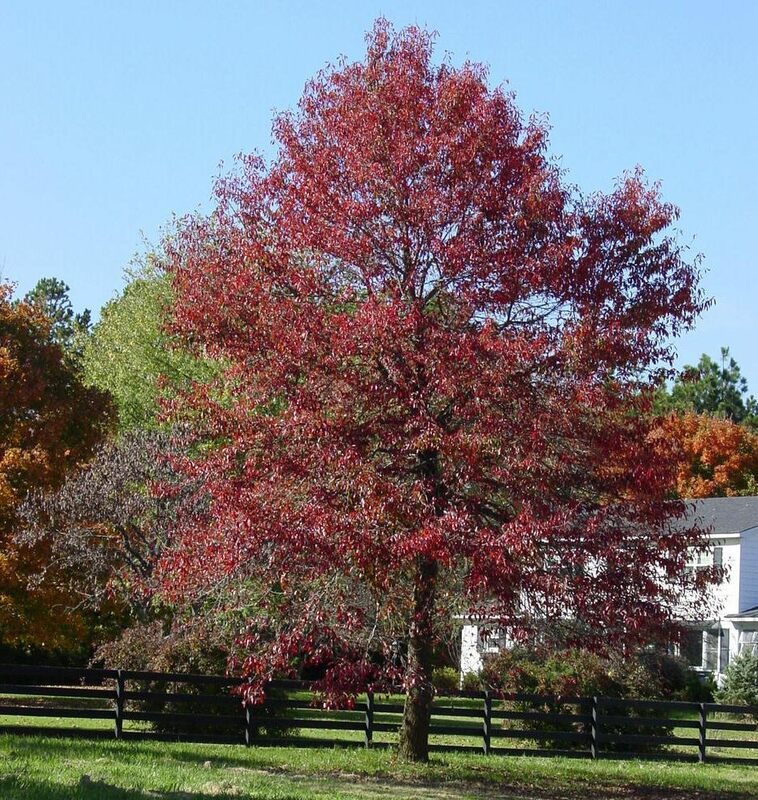 ): red maple (Acer rubrum) and sugar maple (Acer saccharum). Avoid silver maples, and box elders because of weak wood. 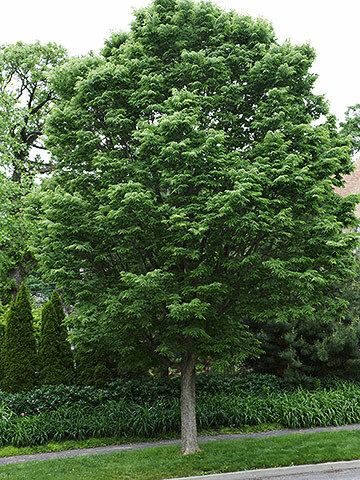 Non-native Norway maples and Japanese maples can cause or experience problems. Oaks (Quercus spp.). Red oak, bur oak, and swamp white oak will grow in poorly drained areas. Oaks are slow growing, large trees. Pin oaks require acidic soil. Hornbeam or blue beech (Carpinus caroliniana). 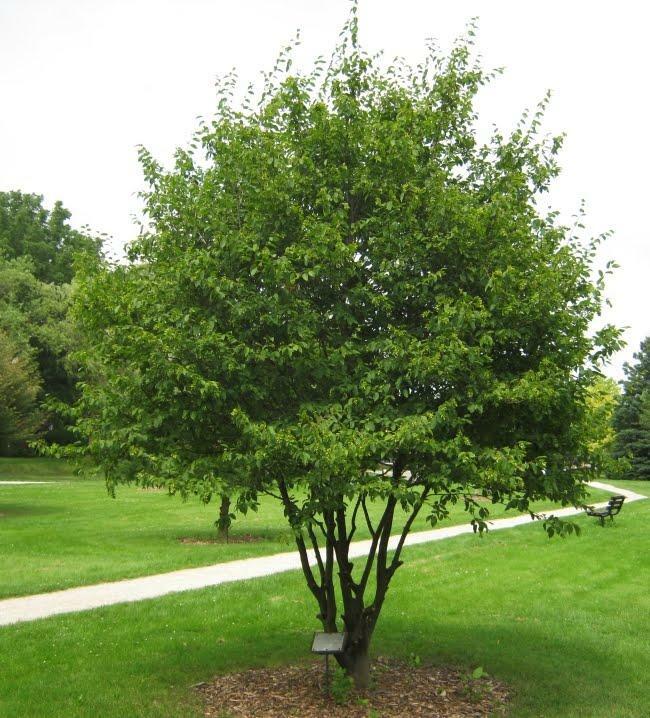 Small trees with attractive bark, can handle moist areas and shade-tolerant. 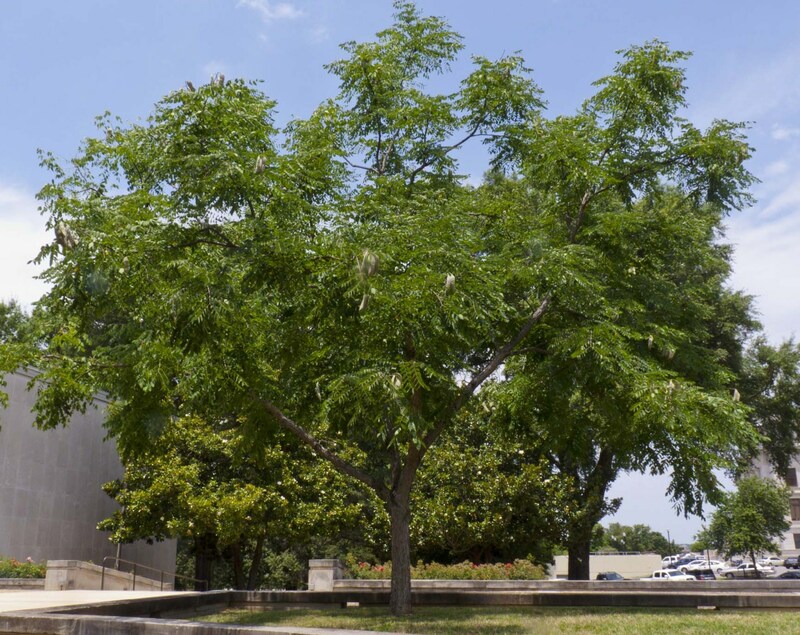 Kentucky coffeetree (Gymnocladus dioicus). 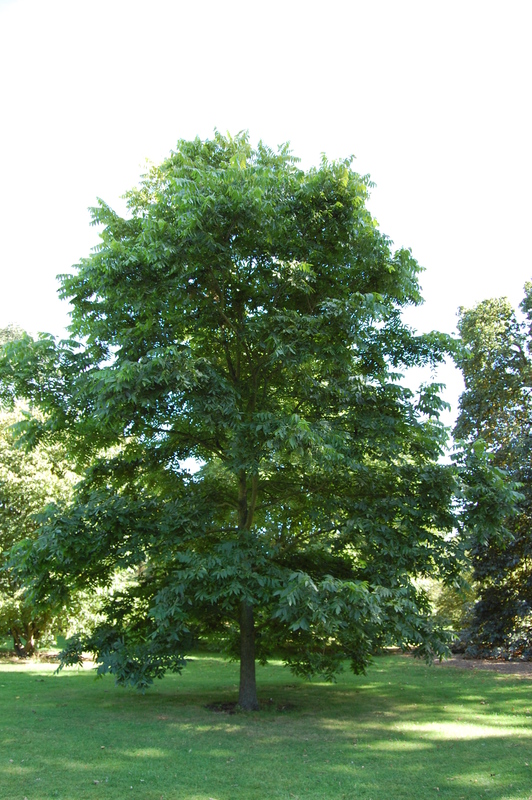 Medium to large tree, not shade-tolerant, relatively fast growing and has an attractive foliage. Hophornbeam (Ostrya virginiana). Small to medium in size, slow growing, very hard wood, shade-tolerant and has interesting fruit that looks like hops. 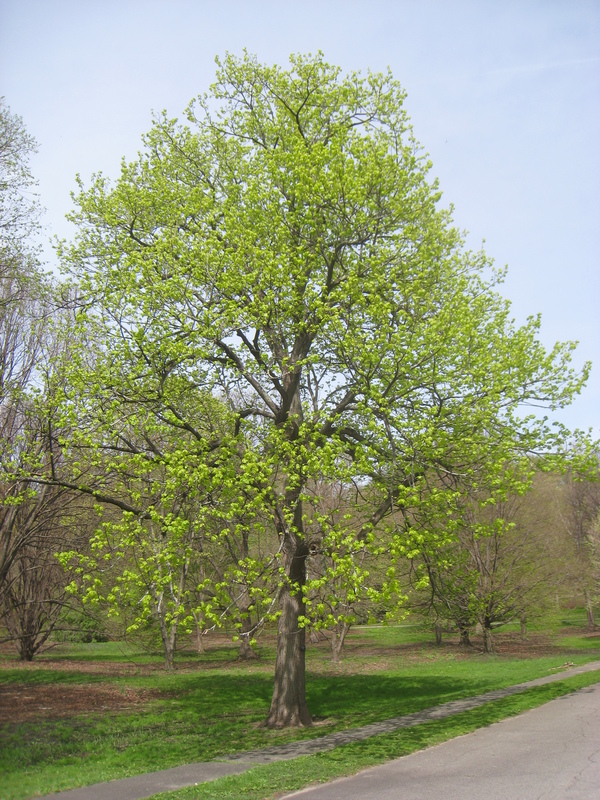 Basswood (Tilia americana). 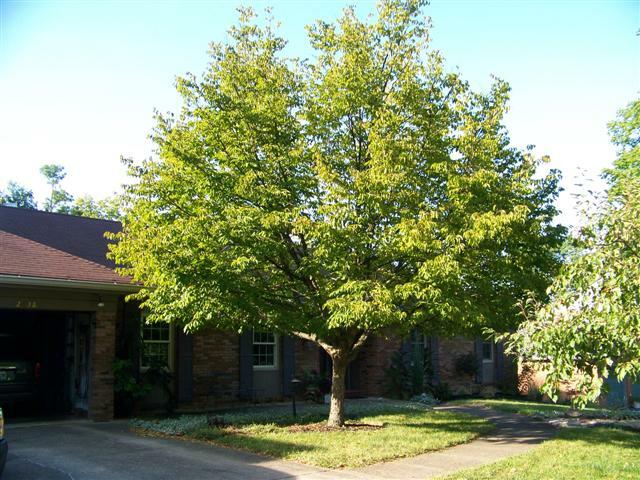 Large tree with somewhat heart-shaped leaves, shade-tolerant, and moderately slow growing. Its small, yellow-white fragrant flowers attract bees. Blackgum or Tupelo (Nyssa sylvatica). Grows in the southern half of Lower Michigan, is slow-growing and has lustrous leaves with bright red autumn foliage. Hickory (Carya spp.). Shagbark and shellbark produce edible nuts and both have textured bark, especially shagbark. Bitternut and pignut hickories produce nuts for wildlife; they are not tasty to people. Hackberry (Celtis occidentalis). 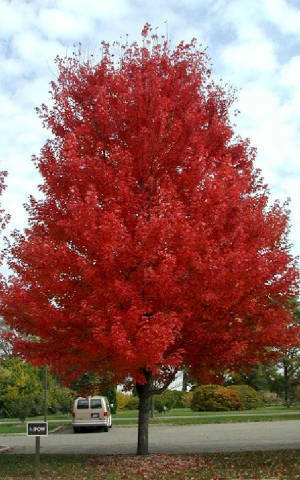 Medium sized tree, fast growing and moderately long-lived. The tiny edible fruit is eaten by birds. Tamarack (Larix laricina). 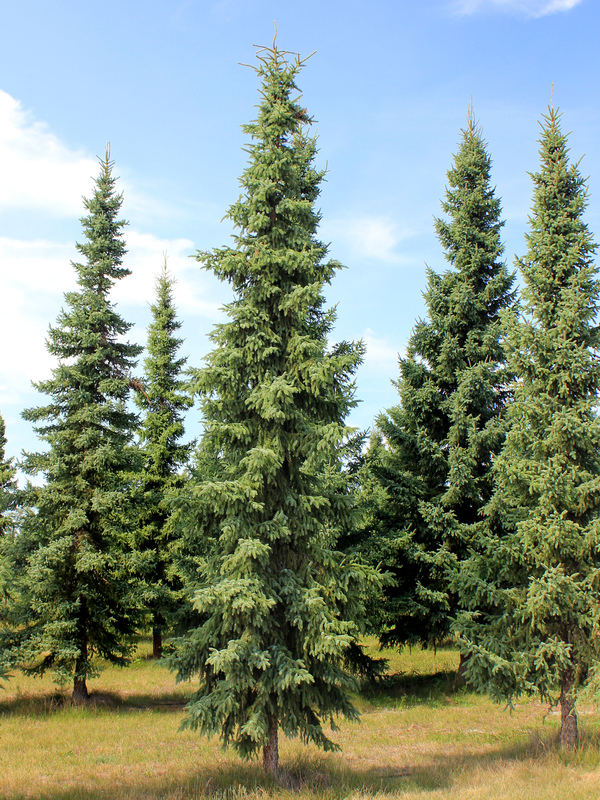 This deciduous conifer appreciates moist soils and can grow in wetland areas. 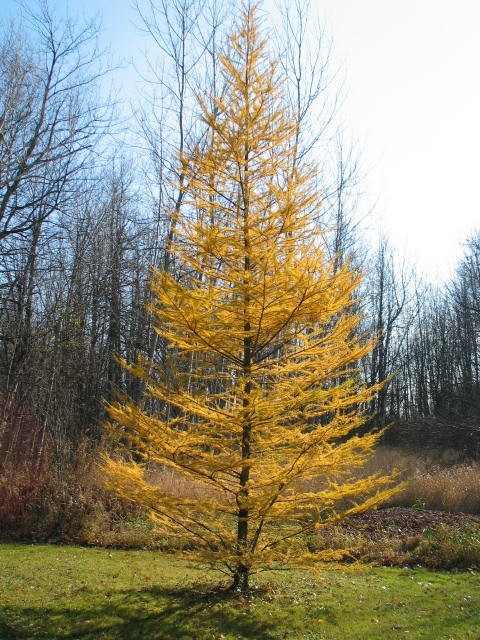 Needles turn brilliant yellow in the fall and drop. In the spring, new needles grow. Needles are light and feathery. 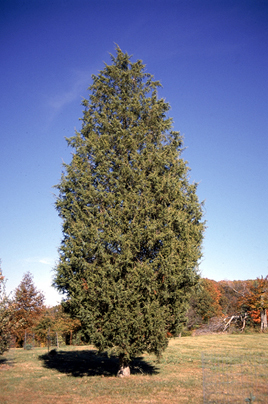 Eastern red cedar (Juniperus virginiana). Small to medium-sized tree, roots deeply and is wind- and drought-resistant. Foliage turns bronze in winter. Birds feed on small, bluish berries. Eastern white pine (Pinus strobis). 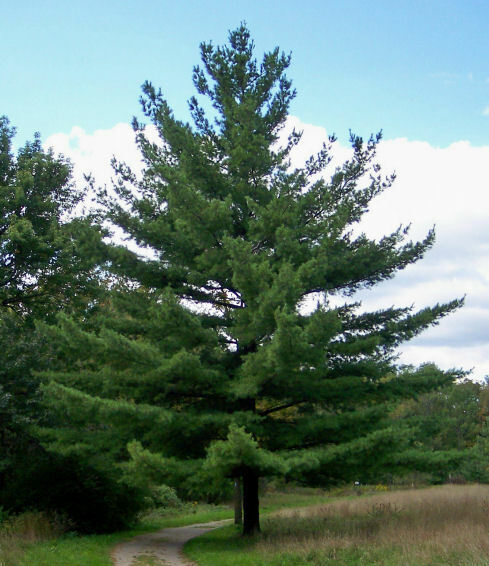 The state tree of Michigan with long, soft needles in groups of fives. Moderately fast growing, large tree, vigorous as an ornamental tree and requires well-drained soils. Black spruce (Picea mariana). Small to medium tree, grows well in acidic, moist soils and is very slow growing. Shrub dogwoods (Cornus spp.). 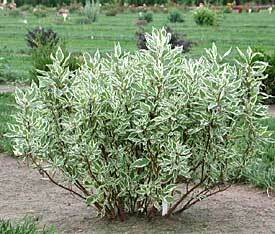 Examples like silky, red-osier, gray and yellow twig do well on moist soils. Many have brightly colored stems and are small in size. Ninebark (Physocarpus opulifolius). 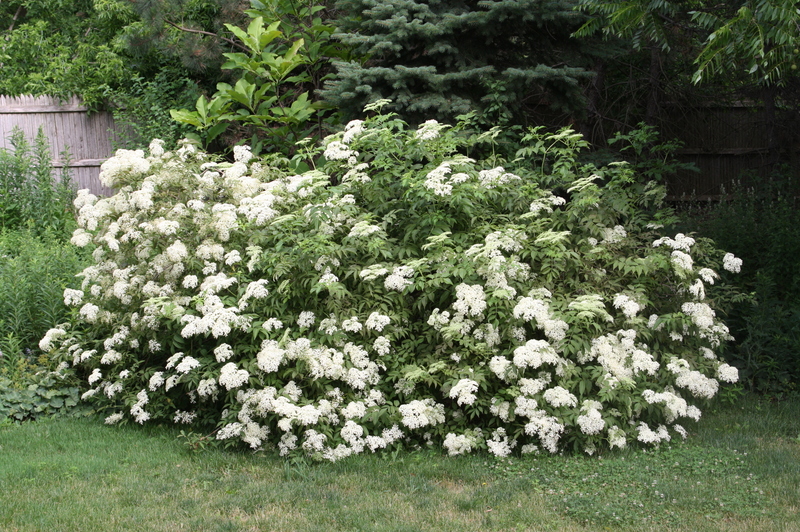 White to pinkish flowers around June heavily branched and not shade-tolerant. Erect spreading shrub forms a dense crown. Spicebush (Lindera benzoin). 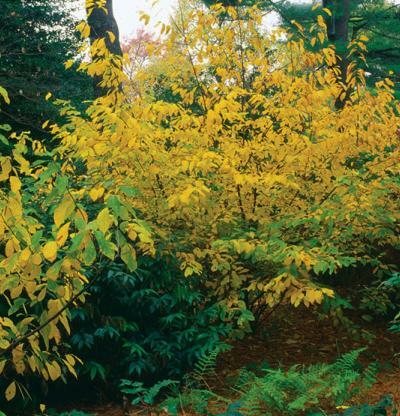 A large aromatic shrub native to the southern half of the Lower Peninsula that grows best when moderately shaded. Has early, dense clusters of yellow flowers. Common elderberry (Sambucus canadensis). 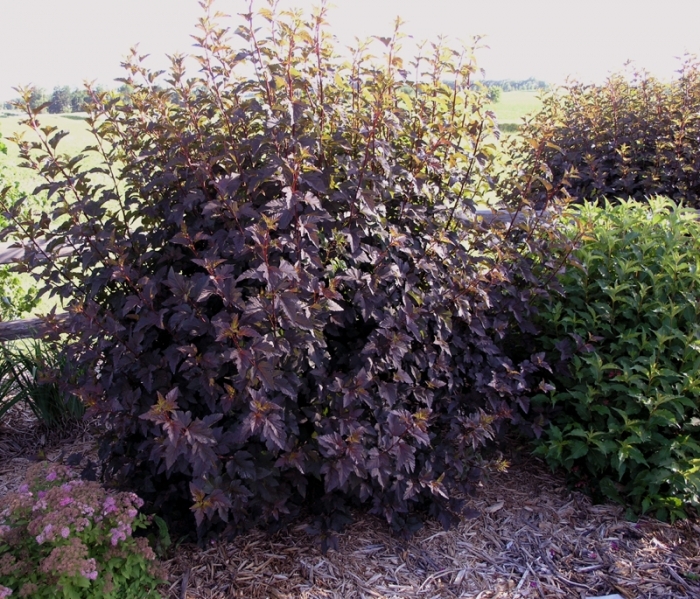 Grows in moist soils and produces purplish-black drupes that are excellent wildlife food. Highbush cranberry (Viburnum trilobum). 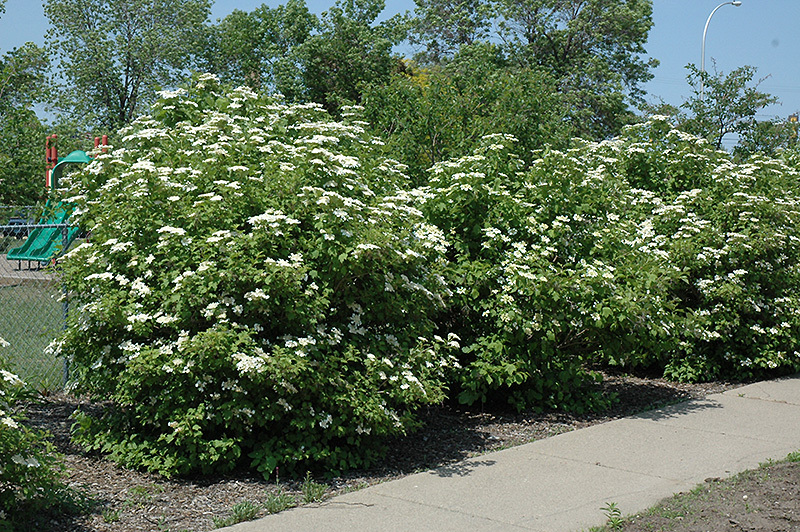 Produces white flowers in June and acidic berries for wildlife. This is just a brief sample of a few native trees and shrubs. When searching for these, use the botanical name (show in italics above) to find more information on the plant and to find a particular cultivar that you would like to invite to your landscape.